Thank you for visiting to learn more about my book, Sole Guidance. While there’s a lovely book description online, I wanted to tell you in my own words what this book is about. 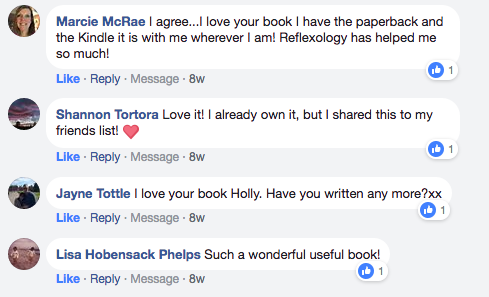 Sole Guidance is so much more than just reflexology. It’s a journey to transform your health and your life. I personally find most books about health are really serious. Reading them feels like taking medicine, and that’s not fun! So that’s why I wanted to do something different. I truly believe if people were less serious and more playful, their health would be SO much better. 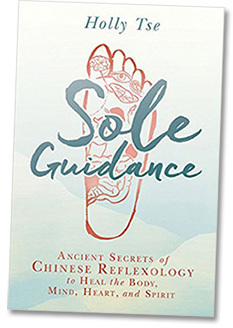 When I wrote Sole Guidance, I wanted to create a book that is FUN and interesting–so that it’s easy to learn how to use Chinese Reflexology to improve your health and well-being. And I wanted to encompass more than just the physical body because health is also about the connection between your body, mind, heart, and spirit. Addressing the WHOLE body is the key to amazing health and vitality. I poured my heart and soul into writing this book. The words on the pages are intended to empower you and to uplift humanity. Yeah, I know that’s pretty heady stuff! During the entire writing process, the words flowed easily and I felt like I was being guided to share this valuable healing information with the world :). You can find it in the library too! Click here for the U.S. And in Canada, it’s available in the Vancouver and Toronto public library systems. I hope you enjoy the book as much as I enjoyed writing it! P.S. And if you enjoy the book, would you be so kind as to please write a book review on Amazon or GoodReads.com? Your words may inspire someone to try Chinese Reflexology to transform their health and vitality. Thank you so much for your support!